If you watched Black Swan, the recent Oscar-winning film from Darren Aronofsky, you’d think the artistic process is populated (simultaneously) by horrid men and highly-strung women. None of the artists seem to enjoy what they do, and they hate each other so much that they’re willing to do everything from drop one another in an opening night performance, to going behind the others’ backs to move up the ranks, to even quite happily killing each other. And while Aronofsky’s latest thriller suffers from the fact it’s just plain silly, its views on the artistic process (and Natalie Portman’s depiction of tormented dancer Nina Sayers) appear to have resonated with a large number of critics and audiences. However, the suffering artist in search of perfection while creating art is hardly a new trope in cinema. Whether it was Kirk Douglas’ Vincent Van Gogh in the 1956 film Lust for Life, or Andrei Tarkovsky’s Andrei Rublev, or the recent biopics of Ray Charles and Johnny Cash, artists in torment have been a staple character in films about art. Many of these films are structured around the supposed cathartic effect of the art: Andrei Rublev’s icons explode in colour as a coda to the black and white death and destruction of the rest of the film. Cash and Charles’ music come from a much darker part of their lives (in fact these two films are near identical in plot). Black Swan doesn’t really offer much in terms of art as escape or release – the dancing is low-key and conservative and the depiction of the performance is stagnant. If anything, it was a lazy use of Tchaikovsky’s great score to do all the work. 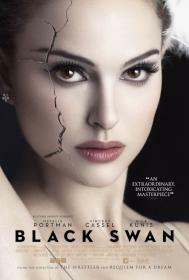 Instead Black Swan is more of a lurid Repulsion riff, in which Aronofsky is more interested in revelling in the claustrophobic and repressed interior world in which the characters inhabit. The art, in effect, was kinda meaningless. The Quince Tree Sun came a further decade later again, and looks at the struggles by Madrid painter Antonio López García to paint a quince tree in his garden. And it is a film about struggle and suffering – though a quite different struggle to the one in Black Swan – in which López García (who plays himself) is unable to quite get the image he wants. The film is meticulous in setting up López García’s routine and methodology. López García does everything like put stakes in the ground to mark the fruit, so that he can get the perfect degree of ‘ripeness’ – to waiting for the perfect light conditions, and obviously, rain is not an optimal situation. It is a different kind of perfection than the one sought in Black Swan by the Natalie Portman character – as Erice shows López García trying and trying again, knowing that his window to get things right are brief. After all, the fruit will die, and the season will shift. A conversation with a colleague on Michelangelo’s The Last Judgment suggests the fear of imminent death is a driving factor in trying to create perfection – and the film doesn’t have to show López García dying to make this point. Erice’s style is unobtrusive to the point of minimalism (almost everything takes place in silence, except for a few conversations), and while some critics uncharitably described this film as being as boring as watching paint dry (which in effect, is what the film is about), it is a hypnotic and highly rewarding film. The thrill of the chase and the perfection we see, those little glints onto the camera, those wonderful images on the canvas, feel earned; and the struggles of the artist don’t need histrionics or directors’ wet dreams in order to be thrilling. A closer film to Black Swan’s world ( but in many ways quite similar to The Quince Tree Sun) was Frederick Wiseman’s marvellous 2009 documentary La Danse: The Paris Opera Ballet. Wiseman made his name examining institutions in a series of unobtrusive cinéma-vérité films, in which he tries to offer no authorial comment on what we see on camera – though of course, this disregards the role of editing in structuring what we see. La Danse looks at the Paris Opera Ballet’s machinations. It is a study of the artistic process, told by capturing the perfection sought by the dancers, the choreographers, the costume makers, and the musicians who are caught under the Paris Opera Ballet’s name. Wiseman’s films in the past frequently revealed the subject institutions to be morally bankrupt or deeply problematic; and while La Danse also shows the potentially dubious interplay between commerce and art and the hierarchical nature of the institution, for the most part it celebrates the artistic process. Wiseman’s camera focuses on limbs and bodies in motion, the interplay of human forms, and on rehearsal after rehearsal in which transient moments of beauty are meant to be replayed endlessly by the artist. He also suggests the fragility of the body – it breaks down, it ages, it struggles to execute what is deemed to be perfect. Wiseman, as usual, eschews easy narratives (there aren’t many ‘characters’ onto which the audience can latch), and he steps back, unsentimentally, to linger on the minute struggles the artists go through. And, unlike in Black Swan, the dancing is quite thrilling. 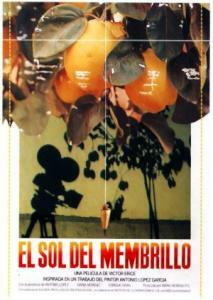 In this regard, La Danse and The Quince Tree Sun are remarkably similar and mutually watchable films. And while the dancers and López García are no doubt as talented as we’re meant to believe the Nina Sayers chracter played by Natalie Portman is, these two films show that artistic perfection doesn’t need to come via murder, intrigue and Grand Guignol climaxes. It really is much more banal than that. It is a matter of a little luck, and a lot of hard work.